When you think of the ski areas most popular amongst foreigners on Japan’s main island, you would first think of places in Nagano and Niigata such as Hakuba, Nozawa, Shiga or Myoko. Otherwise, it’s the Tohoku area resorts, such as Appi or Hachimantai that come to mind. There is, however, a ski area that westerners are just beginning to discover. It’s the slopes of Aizu, at the gateway of Tohoku, the main island’s northernmost region. Because of Aizu’s inland location, humidity is low, and snow quality is as high as it gets. Its fine, dry powder is comparable to the powder snow of Hokkaido at Japan’s northernmost tip, with its reputation as the world’s number one powder paradise. 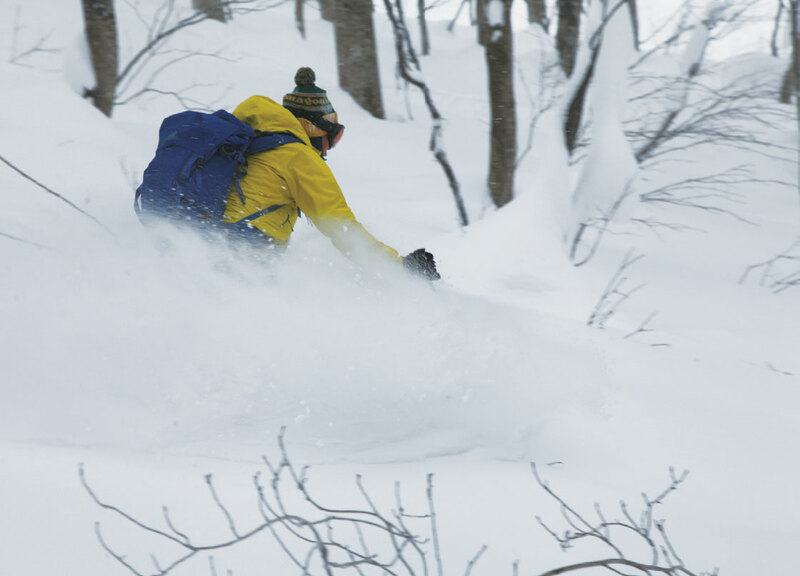 The very reason that makes Aizu’s fresh powder slopes so thrilling is, ironically, the absence of crowds. Despite being 100 kilometres north of the Daiichi nuclear accident, Aizu lies on the outer edge of the Fukushima district. Although Aizu itself is basically untouched by radiation, the very word ‘Fukushima’ is synonymous with the word ‘disaster’ to many people, Japanese and foreigners alike. Many people choose to stay away, avoiding to look at the actual data themselves. For people willing to do their own research, this makes a ski holiday in Aizu a prize catch. Not only can you get freshly-fallen powder all to yourself, the whole ski industry is bending over backwards to woo skiers back with all kinds of special deals, such as free lift passes for people aged 19 – 24. Fortunately, the data shows that the Aizu and Bandai areas saw little effect from the accident. This is due not only to distance, but also to being upwind of the accident, and having two protective mountain ranges between Aizu and the stricken power plant. Nevertheless, local government watches the situation closely. In addition, the citizen group, Safecast, provides reliable independent radiation monitoring with easy to use smartphone apps and online maps as an alternative source of information. A visit to Aizu is about much more than extremely inviting snow. The treasure of the north is the samurai town of Aizu Wakamatsu, built around the spectacular castle to which all wealth and culture flowed. Like the television dramas that it inspired, Wakamatsu town is full of tales of intrigue and heroism that played out all those years ago. These stories continue to inspire the people of Japan, and even a foreign movie star or two; the Tom Cruise film, The Last Samurai, tells of the real-life events that took place in these mountains and streets. Yes, the ‘Bushido’ or ‘Samurai Spirit’ is strong in the people of the north. So too is their attachment to their traditional cuisine. In a world where everything starts to be the same everywhere you go, we tasted wonderful dishes that are exclusive to this area, springing from its natural features and traditions, which I would love to share with you. 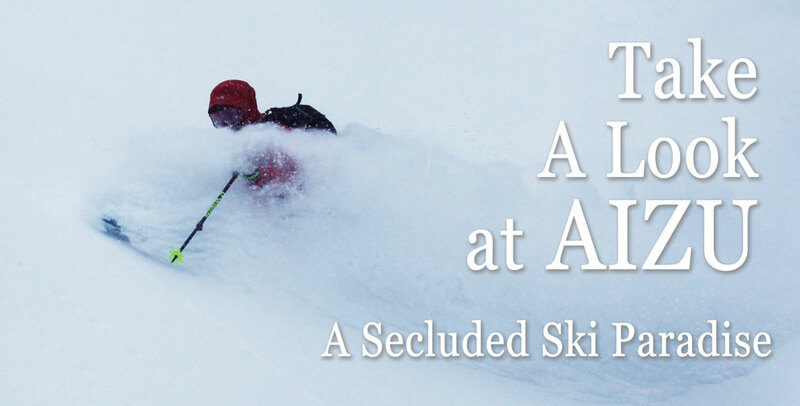 There are a total of 22 ski resorts in the area that all slope down to the open plain. The district that flows down from the north is known as Aizu, while the south-western area goes by the name Minami Aizu. In this trip my 9 companions and I focused on three places in the northern district: the main ski resorts of Aizu, the samurai town of Aizu Wakamatsu City, and the romantic historical village of Higashiyama Onsen (hot springs), just nearby. Here is the story of my experience of Aizu, and the must-see places in each of the areas.